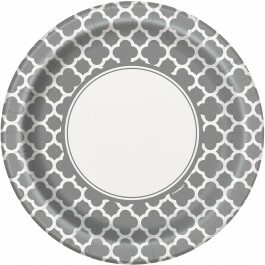 Give your party table a strikingly exclusive look with our Silver Quatrefoil Supplies. 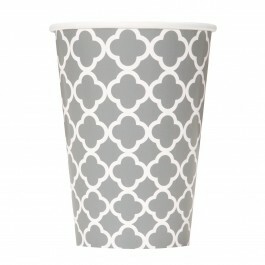 All our silver quatrefoil supplies including table cover, plates, cups, napkins feature a regal quatrefoil pattern that invokes classical design sensibilities. 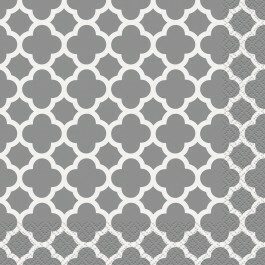 These supplies can be used alone or can be added as accents to other coordinating and solid patterns. 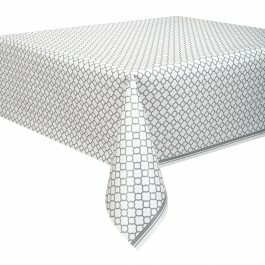 These supplies are perfect for celebrating your 25th Anniversary, birthday celebrations or holiday dinners and get-together. 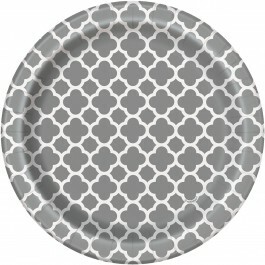 These stunning silver quatrefoil supplies are available at an affordable price and will surely be a huge hit in your party. 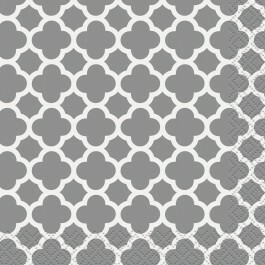 Explore our range of other solid color quatrefoil supplies available at a discounted price!